For hundreds of years now, humans have embraced hobbies. Why is this? One reason might be the underlying benefits. When a person engages in a hobby, many things are happening beneath the surface. That is why I compiled a list of 10 ways that your hobby will make you a better person. Let's begin! 1. Hobbies Channel Your Creativity. Firstly, no matter what hobby you have, you are probably digging deep into your inner creativity. Creating a model train layout is an awesome art. You can tell a story, show history, be meticulously accurate, or just go crazy with it! Are you a railfan? What time of day will you go to the railyard? Where will be the best location for me to set up my camera? Can I get a better angle? How can I capture the same train in a way I never did before today? These are all creative thoughts. Through creativity, you are becoming more dedicated, determined, consistent, and hard working! 2. Hobbies Will Improve Your Skills. In the process of generating creativity, you are ultimately connecting with yourself and learning new skills. This activity is a great form of personal development. I have acquired many skills by fiddling around with many hobbies throughout my life. One thing I enjoy is noticing when my skills improve. It's rewarding to look back at "Day One" and see how you made tremendous progress. That cannot be a bad thing for a person. Here's another game changer. Did you just finish designing your dream model layout? Maybe, you just figured out how to take a crisp photo of a speeding train. Possibly, you just built your first HO Scale house. Chances are you were building something even bigger and better - your confidence. Learning from your mistakes and making something from scratch is very upbuilding for anyone involved. 4. Hobbies Can Broaden Your Perspective. When I started driving, I used to drive over the local train tracks with no regard. I never saw a train locally. Therefore I figured that they were no more. However, after I started finding more interest in trains, I quickly learned that it was an active-siding. Because of that, I'm now holding onto some great pictures! Becoming more aware of your surroundings is a very educational and eye-opening experience. You see things that you never saw before. Plus, I no longer take living in the Anthracite Coal Region for granted. There are so many facts about trains and so much history to learn! I'm sure you will agree that a hobby invokes lots of thinking. That brings me to my next point. 5. Hobbies Keep Your brain healthy. I won't get all scientific, but there is ample evidence on this subject. Hobbies keep your mind active. Like a good game of chess, operating your railroad will keep your mind sharp. This concept is especially crucial if you are retired. Hobbies benefit the mind and can slow down your aging brain! 6. Hobbies Keep Your Life Interesting. So, I'll admit that I used to consider shopping a waste of time. Therefore I would consolidate everything into a monthly trip. Well, life has changed, my wife and I now do our errands every Monday. I don't mind the trip anymore because sometimes we get to see some awesome train activity. Locomotives give me something to look forward to and keep my busy mind away from boredom. Whether you are heading to a train station, a train shop, or a train meet; life just got better! 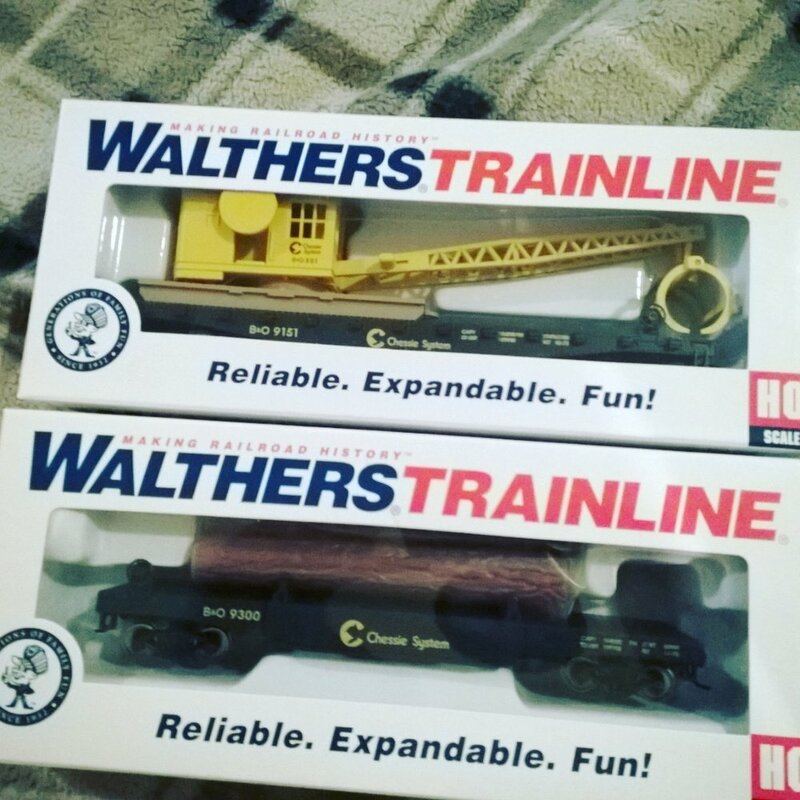 I couldn't resist these Chessie System cars. 7. Hobbies Will Reduce Negative Stress. Last year I had to deal with some inconvenient health problems. Looking at a bright computer screen became impossible for some time. So I began messing around with trains to escape my quandaries. It was an excellent distraction, and it even led me to start Trains in the Valley. I know multiple people that deal with stressful jobs. A hobby is a perfect way to wind down from everything negative in your life. I eventually came to realize that my new hobby was more than just something to kill time. It totally rejuvenated my mind, and this was a real blessing! 8. Hobbies Can Shape Your Career. If you know me personally, then it's no secret that this applies to me. Almost everything in my life leads a very fine line between hobby and profession. I have been doing this forever. Maybe I'm the exception, but I believe you can enjoy your job, and it can be meaningful. At the very least, your hobbies might help you master some skills that look good on your resume! 9. Hobbies Will Increase Your Activity. Whether you are building a kit, laying track, or fixing a locomotive, you are doing good things for your body. These things are all an excellent way to keep active in the winter. What about the warmer seasons? You might find yourself going the distance to get that perfect picture. Let's consider my concept of gateway hobbies for a moment. Model Trains led me to create my version of a module table. Then soon I was traveling to railyards and taking pictures. This coming summer, my wife and I have plans to hike some trails. Hopefully, we'll get some good train photos too. We even started going to the railyard before we hit the gym. Having a hobby is so much better than hanging out on the couch! 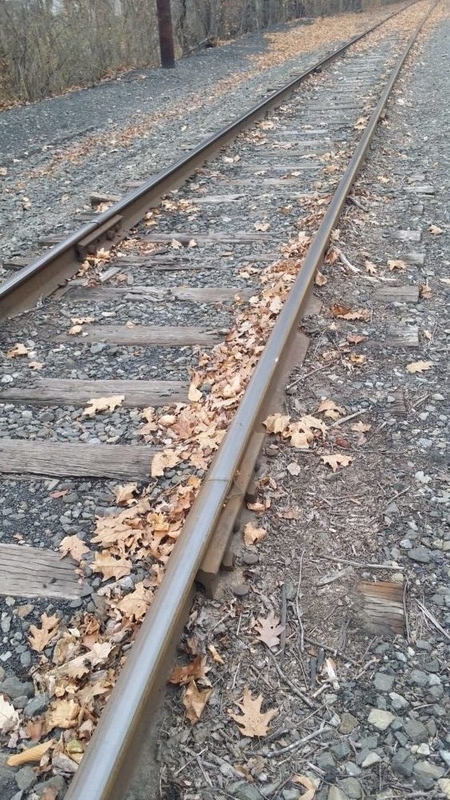 The train track in MInersville. 10. Hobbies Are Something To Share. Finally, having a hobby makes you more exciting. Now you have something to share with people. You can even meet like-minded individuals through many different means. Hobbies make great ice-breakers and will help you socialize. Since I began this journey, I had the great privilege of talking to lots of cool people. Hearing about their knowledge and personal railroad experience was priceless. Without hobbies and interests, life would be dull! In conclusion, isn't it amazing all the different ways that hobbies can shape our lives for the better? I have many creative hobbies. Over the years I have come to be very thankful for them because they shaped who I am today. Trains in the Valley is more than just a model train shop. It is our goal to create a community. As a result of this statement, I would love to get to know you. So, what are some of your hobbies? Let me know in the comments below and say hello!